Somewhere this morning in the Scottish borders, a group of cyclists are heading North…all the way North in four days, aye! 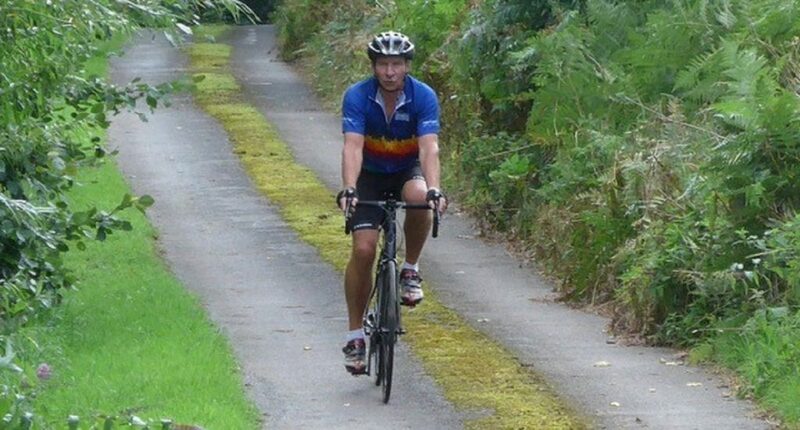 One of the cyclists is our Chair of Trustees, Ted Tuppen. He has 443 miles ahead of him, this is a gruelling challenge. Ted is a very determined man and there will be many reasons he is pushing himself to do this. But not least is his unwavering support for LandWorks, this bike ride is raising money for LandWorks. We are now beating the target so please keep giving because every donation, no matter what the size, is doubled – click here to visit the Total Giving page. Peter left prison about two months ago. He is 48, worked all his life, then used drugs to mask the grief after his mum died and ended up serving two years in prison. He is at LandWorks, getting to grips with his drug issues…almost there, in recovery and the realisation that he will be able to work again is becoming a reality, soon he will start applying for jobs. Yet as a community we don’t half manage to stack up obstacles to stop him, traps to fall into and a series of problems that would turn a less determined man back to crime within days of release. His weekly benefit is £67. This leaves £4.57 a day to live on. Peter explained last week that he was struggling because the laundrette wash had used up £8.60. So, LandWorks bought a second-hand washing machine. One of our day release prisoners is a plumber by trade. Now the whole porta cabin wildly vibrates on the spin cycle and the yard is decorated with Peter’s smalls fluttering on the line. For the inaugural wash I purchased a commercial pack of washing powder ‘128 washes’, so 16p a wash! … Peter stared at me and said, “You want me here for another two and half years”. Good luck Ted we are all thinking of you.